Amazon says: We see… who we want to see We believe… in what we want to believe When we stop believing... we stop being seen Set against the backdrop of California’s beautiful Venice Canals The Theory of Invisibility is a modern day fable that uses magical realism as an expression of one’s loss of faith. 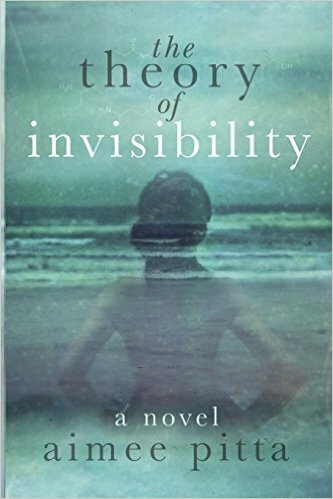 Emme Taylor, haunted by the death of her husband and son, and unable to interact with the world as she’s known it, slips into a state of invisibility. When Emme seemingly disappears, Morgan, Emme’s sister, immediately fears the worse and shines a spotlight of suspicion on Phil, Emme’s co-worker. As Emme struggles through her haze of grief she must decide if she should sacrifice her cloak of invisibility in order to save the one’s she loves. I say: I honestly haven't been so hooked on a book in a long time. I've started and stopped many books since my last review but this one sucked me in right from the start. It was an easy read (it took me maybe 3 days of a few hours each day) and had a really refreshing, unique story line. The main character Emme can be quite frustrating, especially towards the end, but the author does a good job of keeping you on her side. The downfall? The ending felt somewhat lackluster to me. It felt like there was a slow build up for quite some time to the climax and then the ending feels like it just gets stuck on. You're definitely left with some questions. Overall though it was a really entertaining read and I would definitely recommend it! Great review Kim! This has me intrigued because as soon as grad parties are over, this mama is picking up some books!! This sounds good!! Happy Tuesday gorgeous!! This sounds so good! Something to really get stuck in! Great review. I have also started and stopped so many books recently...just can't seem to find something to really get my teeth into. This sounds really unique though, I've definitely not read anything with a similar premise before so maybe this is the book for me! Will let you know what I think of it...! This sounds like such a good read! I'm on the hunt for a list of books to read over the summer and I think I'll give this a whirl :) thanks for the recommendation!